Ouch, red flags indeed as this basically forces the writer to 'change' their book in order to resell it. As to the writer paying an editor, sounds like the writer needs the editor to sign a simple contract admitting that they are working for the writer and that all rights remain with the writer. I've heard of this far too much. "Contract may be terminated by either the author or publisher with a 90-day written, certified mail notice or other receipted or traceable delivery service,"
As someone who has worked for the UK Royal Mail, I find this dodgy. They say receipted, which may mean that if they refuse receipt they will ignore it. "Contract is deemed as terminated 90 days after proof of mailing of termination by author or publisher." Email would be enough in Europe for this. I am a lawyer (I do most of my work in the film and television realm, though I handle some publishing agreements). Strictly speaking--yes, there is at least the potential of the modifications made to a manuscript being substantial enough to constitute a copyrightable work. Of course, such would be deemed a derivative work based on the underlying manuscript, and the extent of the publisher's copyrighted interest would only be the thin veneer of modifications its editor added. Should the publisher's rights in the underlying manuscript terminate, the elements it owns would almost certainly be useless. The main utility of owning such marginal copyrighted material that I could imagine would be to act as a sort of "copyright troll" if the author neglects to excise the elements added by the publisher's editor before publishing or otherwise exploiting the book elsewhere. Frankly, most of the small-press "edits" I've received on my e-published works have been so poor that I was happy to ditch them on the reversion of rights. I went back to my original ms. and started fresh when it was time to republish. Too many micropress "editors" have no feel for language, impoverished vocabularies, and only the shakiest understanding of the finer points of grammar (for example, adding apostrophes to create plurals and not knowing the difference between coordinate and coordinate adjectives). They can keep those "improvements." I've never had them do any more substantial edits. YMMV. Obviously, that should have been coordinate and noncoordinate adjectives. Dang autocorrect! Entangled Publishing also has this stipulation. I was told to use the original submission to re-publish when I got my rights back not the edited version. I've heard that about Entangled, but didn't have any documentation so I didn't mention it. Would you be willing to share whatever document you received with this request? I take it the copyright claim isn't in the contract? I’m a retired lawyer, but my focus was US tax law. Several years ago I familiarized myself with US copyright law to the extent that I feel comfortable enough to comment on this situation, but certainly am not in a position to opine in any definitive way! Copyright would seem to have very little to do with the real legal question. I see the real question as one of contract law. I strongly doubt that any copyright claimed by a publisher for editing would make it past the preliminary motion to dismiss were it taken to court on that basis alone. But a claim based on the contract is a different matter. In theory, the samples in the blog post might provide a publisher a legal basis for preventing publication of a manuscript even if only a single comma were changed in the editing process. More seriously, I can imagine a cogent legal argument supporting the publisher in a situation where the writer, starting from the reverted copy of the original manuscript, does some editing that replicates to some extent the edits the publisher had previously made. "Because you have not paid for... edits"
"The copyright theory behind the publisher's contribution is that the publisher's edits represent 'sweat of the brow' that entitles the publisher to a copyright interest in what it contributed to. There's just one tiny problem with that theory: It was explicitly rejected in US copyright law nearly three decades ago, in Feist Pubs. Inc. v. Rural Tel. Serv. Co., 499 U.S. 340 (1991). And although the rejection hasn't been quite as explicit in the EU and UK, it has been rejected as insufficient to create a copyright interest for both music transcriptions (from obsolete notation systems common during the Renaissance; the UK judge noted, slightly paraphrasing, that since the goal of the transcription was accurate reproduction and nothing creative, granting a copyright interest for merely applying judgment to the old notation to make new notation faithful would be "ineluctibly inconsistent with the very purpose of copyright") and text (two German and one Italian decision, plus two EU court decisions, all pointing the same way, that I'm aware of). Why am I not surprised that publishers are trying to claim by contract what the law does not otherwise give them? What they should, instead, be doing is making a claim on edits that are substantial enough to amount to coauthoring, and then only with the author's prior approval (because that's required for an enforceable coauthoring agreement). In other words, this CANNOT be in a publisher's boilerplate, because it depends on BOTH pre-work approval AND enough work actually being done to merit coauthorship." My sense of it (as a law-school-educated IP fan, but not a licensed lawyer) mostly matches what's said. As a lapsed English professor, though, I might add one other perspective: the pivotal word under dispute here is not so much COPYRIGHT, but rather EDITING. The question of what "edits" are, what "editing" is, and what an "edition" is, is really at the heart of how far someone could get away with this. 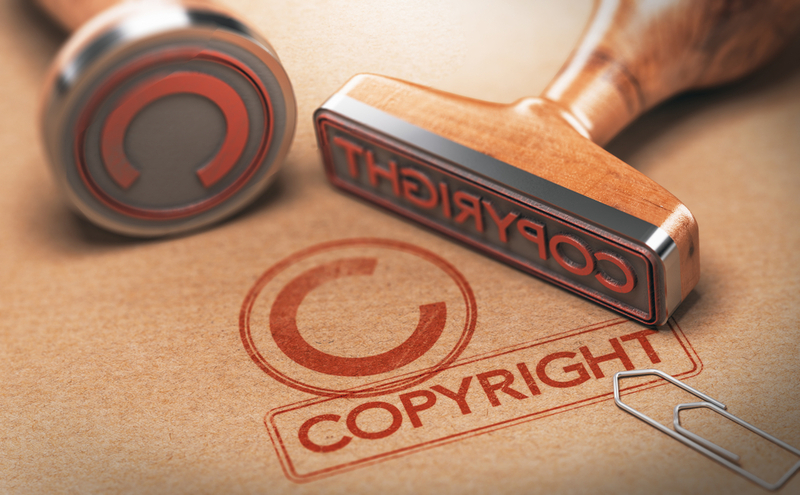 Copyright is weird and mostly a beast of statute: that means less of it derives from "common law" (i.e. what governs how contracts work), and more of it derives from the specific laws that different jurisdictions choose to pass. The case Victoria cites, Feist v. Rural Tel, is a pretty compelling argument against being able to copyright an edit in and of itself. On the other hand, you can certainly copyright *an edition* of a book: I'm allowed to publish my own version of Pride & Prejudice, which is in the public domain, but I'm not allowed to publish a word-for-word copy of Oxford University Press's "Oxford World Classics" edition, comprising the introduction, textual notes, and maybe editorial choices on the whole. There's certainly enough creative judgment in producing a scholarly edition to create a new copyright; but the real question is: what are "edits," and are they alone enough to call something "an edition?" My short answer is no they're not. If I self-publish an awful ebook that's riddled with spelling and grammar mistakes, and all you do is fix them, that's not enough to create a new copyright. On the other hand, a translation *is*. So I think that in most cases, the line between where the publisher can & can't create a new copyright falls between these poles somewhere, but probably favouring the author rather than the publisher if it ever came to litigation. Really, although I'm not a full-fledged lawyer and can't offer legal advice, the best advice I can give is not legal so much as it's simple business advice: the best policy is to avoid these publishers altogether. Like the amateurish wannabe screenwriters who try to force major studios to sign their handwritten NDAs before they hand over a spec script, like the plagiarist-fearing novelist who diligently mails a copy of his book to himself before sending it to a beta reader, these publishers (a)are too insecure, and (b)don't really know how the industry works. Whether they have a legal claim or not, belligerent protectionist contract measures like this are bad business and indicate a principal who acts without really understanding the issues when money is on the line. You don't want your success as a writer to hinge on the business savvy of an entity like that. TL;DR Whether or not this is bad law (I suspect it is) doesn't really matter. It's bad business, and on those grounds alone I'd let the contract go and look elsewhere. Thanks for your comment, Luke. I think you're right on the money in your assessment of these publishers. Not only do they not understand how the industry works, many simply don't know how to run a business. One reason why the failure rate is so high in the small press space.